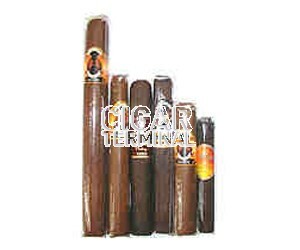 Now more cigars! We've added 4 more cigars to those pictured here from one of the hottest cigar brands today - Rocky Patel cigars, plus a selection of their sister brand Indian Tabac cigars. 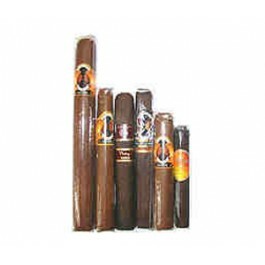 You get 1 each of the following premium cigars: Indian Tabac Super Fuerte Corona Maduro, Rocky Patel Vintage 1990 Robusto, Classic Boxer Robusto, Cameroon Legend Toro, Rocky Patel The Edge Missile, & Rocky Patel Vintage 1999 Toro. Plus we've now added: Rocky Patel Decade Torpedo, Olde World Reserve Toro Maduro, Private Cellar Torpedo & a surprise Rocky Patel cigar.